Description: New Yankee Hill Machine standard length 4 rail float tube forearm. 9.675" long. Longer than the standard carbine and shorter than the rifle length. Screws included. Perfect for use with forward grips and optics. Features include: mounting points for Swiveling Sling Studs (YHM-9469), Mil. Spec. Picatinny rails, and this accepts forearm end caps. The barrel nut and forearms tube are made of aircraft quality aluminum and hardcoat anodized to Mil. Specs. The jam nut is made from steel and plated a matte black to match. Included: one jam nut, one barrel nut, 2 anti-rotation screws, and one forearm tube. Weight 12.9 oz. Request more photos by email. I accept credit cards, cash, personal checks, company checks, money orders, cashier's checks, and bank checks. No credit card fee. Stock photo. $7 shipping. Florida residents add 7%. 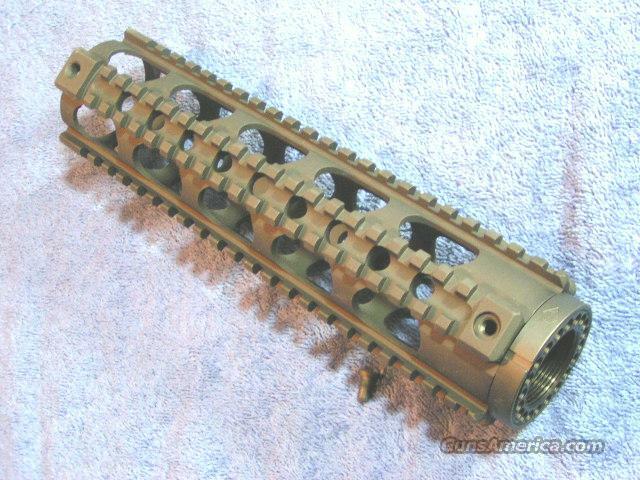 I sell a variety of AR15 products and combine shipping. Rich.